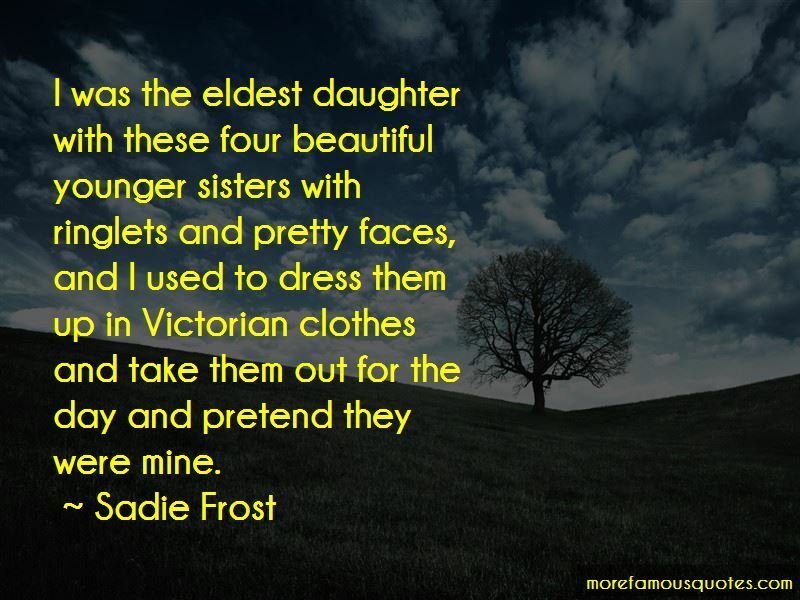 Enjoy reading and share 26 famous quotes about Eldest Daughter with everyone. "Well,well,well, so you're still alive." The booming, full-bodied voice was not so subtly laced with sarcasm. "Your mother and I thought you'd met with some fatal accident." Alan managed to keep the grin out of his voice. "I nicked myself shaving last week.How are you?" "He asks how I am!" Daniel heaved a sigh that should have been patended for long-suffering fathers everywhere. "I wonder you even remember who I am. But that's all right-it doesn't matter about me.Your mother, now, she's been expecting her son to call. Her firstborn." “Lilly Marshall's girl?" Julie cut in. The older woman should have been bowled over, but Julie St. John did no more than set down her fork to ask in a somewhat aggrieved tone, "Which one married you?" "Your eldest. It was a brief ceremony performed at sea just last week." “Wretch! I shan't allow you to take a rise out of me! I want to talk to you about Jane!" "Who the devil is-Oh, yes, I know! One of your girls!" "My eldest daughter, and, let me remind you, your niece, Alverstoke!" "Unjust, Louisa, I needed no reminder!" "You'll have to do something about her freckles-if she's the one I think she is," he interrupted. "Have you tried citron-water?" "I didn't invite you to come here to discuss Jane's appearance!" she snapped. "Well, why did you invite me?" 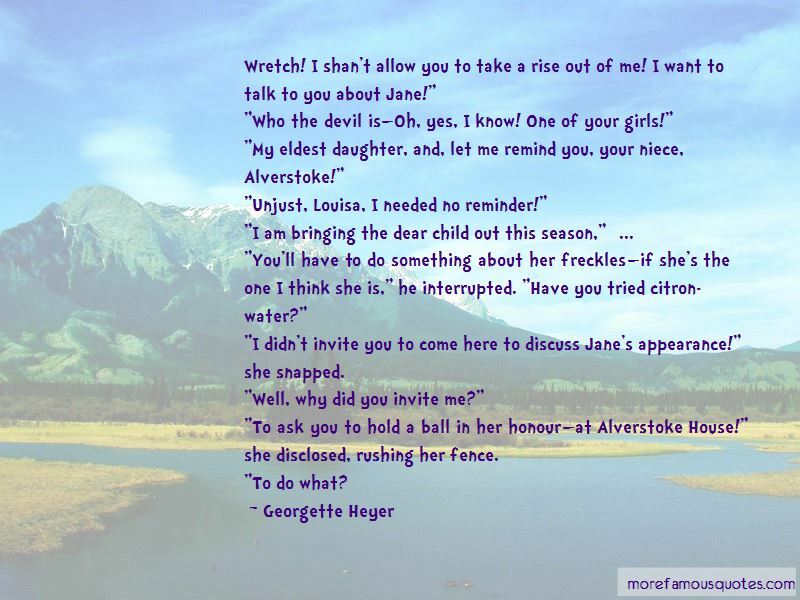 "To ask you to hold a ball in her honour-at Alverstoke House!" she disclosed, rushing her fence. “You may not realize this, brother, but Izzy is loyal to me. So don't make me unleash her on you." "And now you're making fun of me," Izzy complained. "No. It's a serious threat," Celyn admitted. "Used by many in the family. Especially Briec. He loves threatening those who annoy him-"
"Which is everyone," Brannie stated while grabbing the last loaf of bread and tearing it into three pieces. "-with his beautiful eldest daughter who will rip the scales from your back and tear the still-beating heart from your chest before spitting on your corpse." Want to see more pictures of Eldest Daughter quotes? 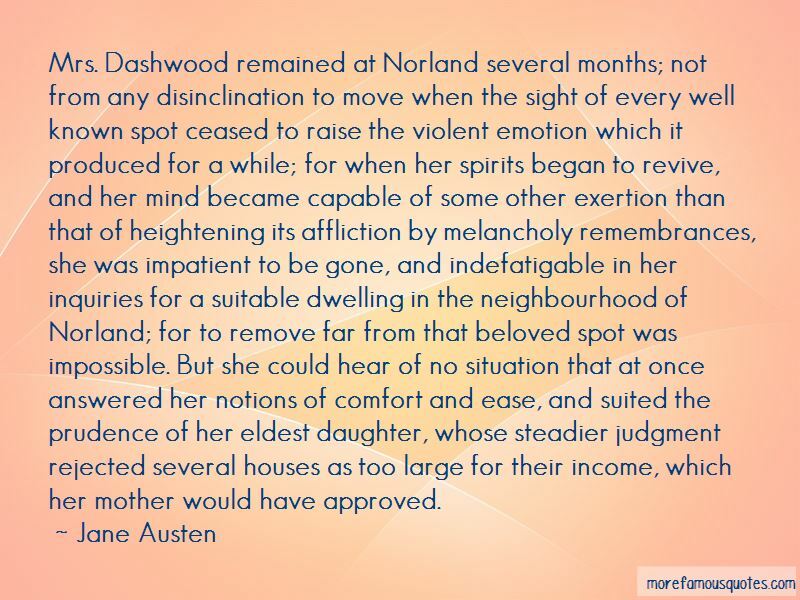 Click on image of Eldest Daughter quotes to view full size.